The Danpower group runs a large number of its plants partially or sometimes entirely with biomass. Scrap wood is wood that has already fulfilled its purpose and has now been designated as waste for disposal as scrap wood or as a secondary raw material. Category A1 scrap wood can be, as a material, reused in the wood products industry for chipboard production. Scrap wood of categories A1 to A4 can be recycled to generate energy. Wood chips are wood pieces that have been shredded or shaved with cutting tools into various forms of wood. Shredder wood, however, is produced by crushing wood with blunt, disintegrating tools. Wood chips are primarily used as raw material for the wood processing industry and also serves as a biogenic and renewable fuel. We use whole plants, grass and maize as well as sometimes grain as biomass in our biogas plants. 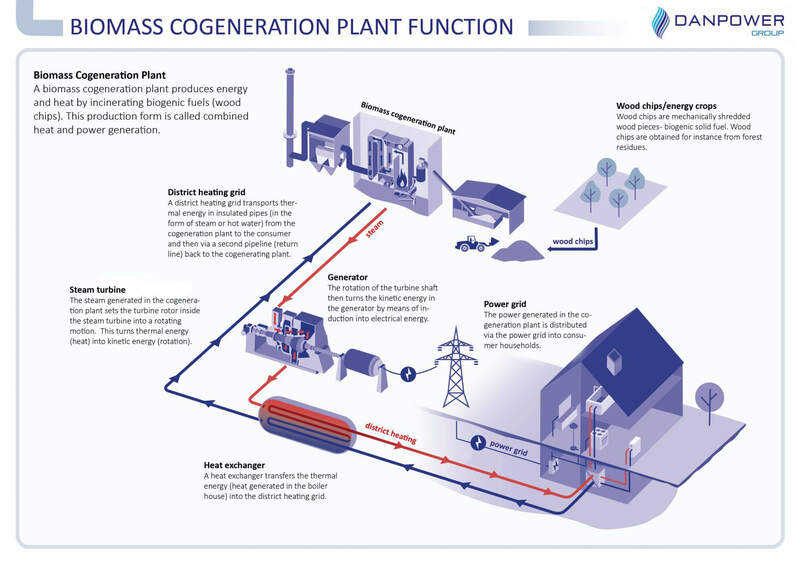 In addition, these plants also use slurry, manure and biogenic waste to generate energy. 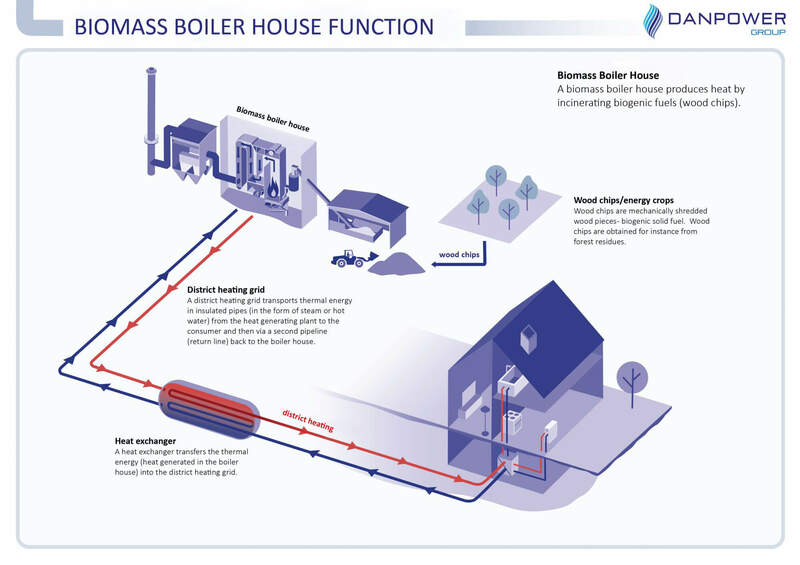 Take a look at our info graphics below or learn more about our biomass plants.